Team India defeated the Aaron Finch-led Australian side by 8 runs in a thrilling second ODI at VCA Stadium in Nagpur to take a 2-0 lead in the five-match series. Earlier, the hosts lost the T20I series 2-0 after tasting defeats at Visakhapatnam and Bengaluru. The first ODI played at Hyderabad saw India crush Australia by six wickets in spite of reeling at 99-4 while chasing 237 runs for victory. With just over two months to go for the 2019 ICC Cricket World Cup and the ODI series against the Aussies being the last International assignment before the showpiece event, India might try out few options before settling their World Cup squad. Already 2-0 up in the series, the Men in Blue might be tempted to test their bench strength in the remaining three matches. The third encounter will be played in Ranchi before the caravan moves to Mohali and Delhi for the last two fixtures. Let us now look at three changes India might make to the XI for the third ODI at Ranchi. It was a big surprise when Dinesh Karthik was dropped out of India's ODI squad for the series against Australia, as he is one of the prime contenders for the reserve wicket-keeper slot going into the World Cup. 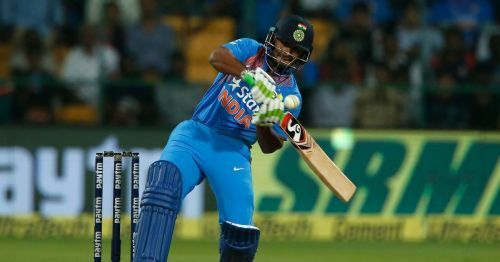 But, young Rishabh Pant's inclusion stressed the fact that the selectors wanted to give the Delhi youngster more opportunities in the 50-over format. With 2 games already being played out, Pant, who has played just three ODIs in his career, is yet to break into the XI. Touted to be the best bet for India's number four slot, Ambati Rayudu failed to make any impact with the bat in the two games so far, managing the scores of 13 and 18 respectively. After failing to score big at home (Hyderabad) in the first ODI, he found it difficult to rotate the strike at Nagpur and is likely to be replaced by Pant for the Ranchi ODI. 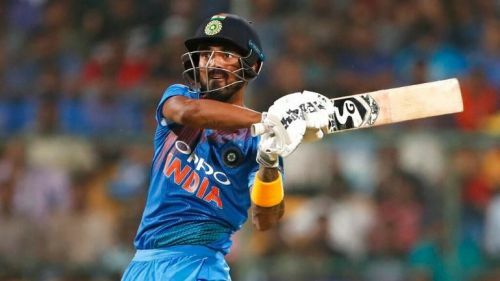 India might provide Pant more game time before zeroing in on the World Cup roster and with Vijay Shankar delivering with the bat in the middle order, it does not augur well for Rayudu.